Monday night’s Ballon d’Or ceremony was left shrouded in controversy after DJ Martin Solveig asked women’s winner Ada Hegerberg is she can ‘twerk’ moments after she collected her award. The Lyon striker and Norway international became the first recipient of the women’s Ballon d’Or award but the mood quickly soured when Solveig tried to test her dance moves out. She, like many inside the Grand Palais and those watching across the world, was left seriously unimpressed. 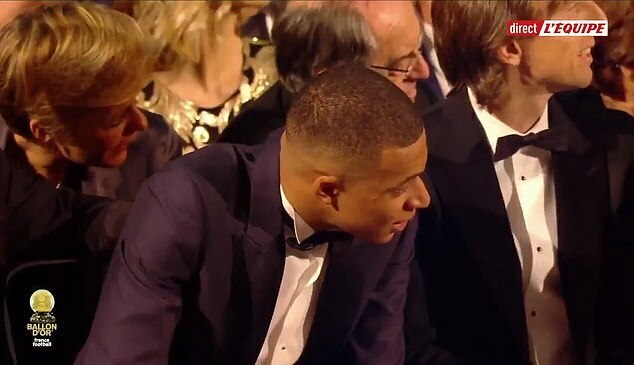 A clip of the exact moment she was asked soon went viral on social media with the reaction of a baffled Kylian Mbappe, who was named young player of the year, also highlighting the surprise at Solveig’s line of questioning when he asked ‘Est-ce que tu sais twerk?’ – ‘Can you twerk?’. 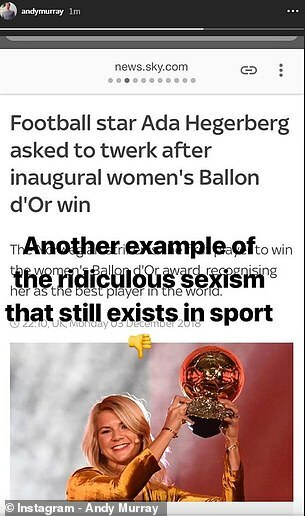 Tennis star Andy Murray spoke out against the ‘twerk’ comments on his Instagram story describing it as ‘another example of the ridiculous sexism that still exists in sport’. 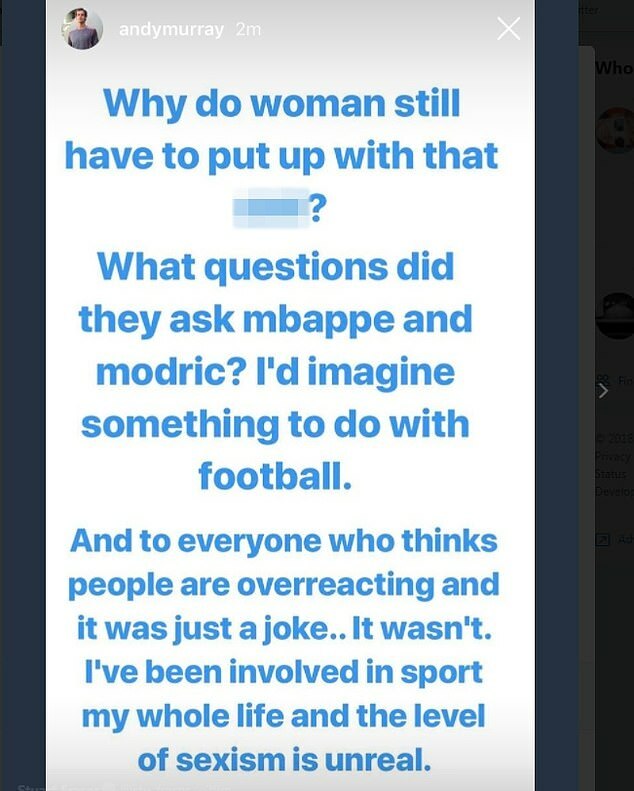 The French DJ took to twitter to offer his explanation and apologies to Hegerberg after the comments gained worldwide attention. He tweeted: ‘I explained to @AdaStolsmo the buzz and she told me she understood it was a joke. Andy Murray was unimpressed, writing: ‘Why do women still have to put up with that s***? What questions did they ask Mbappe and Modric. ‘I’d imagine it had something to do with football. And to everyone who thinks people are overreacting and it was just a joke… It wasn’t. Juventus and England footballer Eni Aluko was also angered by Solveig’s ‘pathetic’ apology as she criticised the offence he caused. She wrote: ‘Pathetic apology. 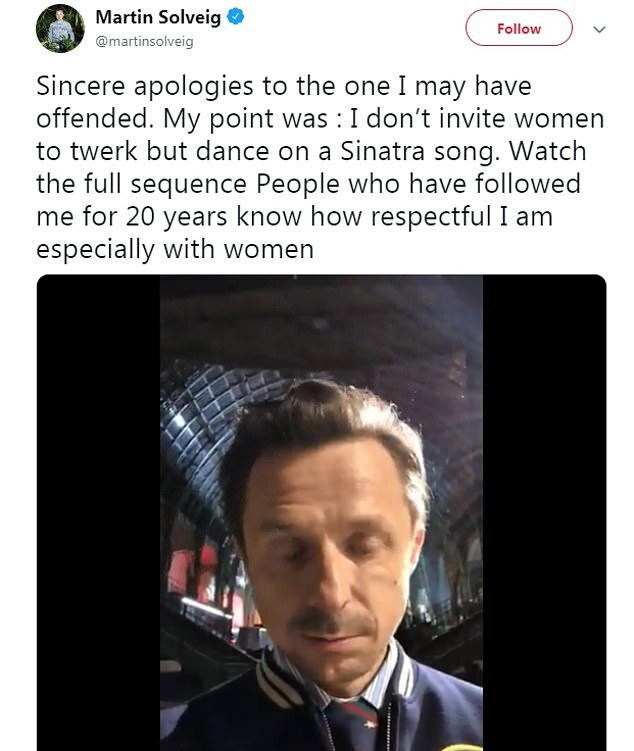 Everyone who has an ounce of decency and respect for women is offended you k***’. It was a significant moment for the women’s game and viewers were left angry that the moment was spoiled by Solveig and host David Ginola as they asked if she wanted to perform the provocative dance move. She swiftly replied ‘no’ before returning to the award and paying thanks to those who helped her throughout the season. Speaking afterwards, Hegerberg, when asked about the incident, said: ‘(Solveig) came to me afterwards and was really sad that it went that way. Here is Ada Hegerberg winning a deserved award for her talent as a footballer. Respected by her peers, male & female at the ceremony. Historic, being the first women’s Ballon d’Or award. But in that moment, a man tried to diminish her. And we all saw. Her sister Andrine, who plays for Paris Saint-Germain, was left ‘absolutely speechless’ at her sister’s achievements. Hegerberg has won nine major titles in four years at Lyon and took the award ahead of England internationals Lucy Bronze and Fran Kirby.